When it comes to adopting a Rottie puppy for your Atlanta home the reasons are numerous, but here are a few of our favorites. Many people don’t equate a giant, burly Rottweiler to being an ideal breed to be around children, but that mentality couldn’t be further from the truth. When it comes to a 100% purebred German Rottweiler puppy, you can be assured that the dog has been socialized and conditioned from birth to be around small children. 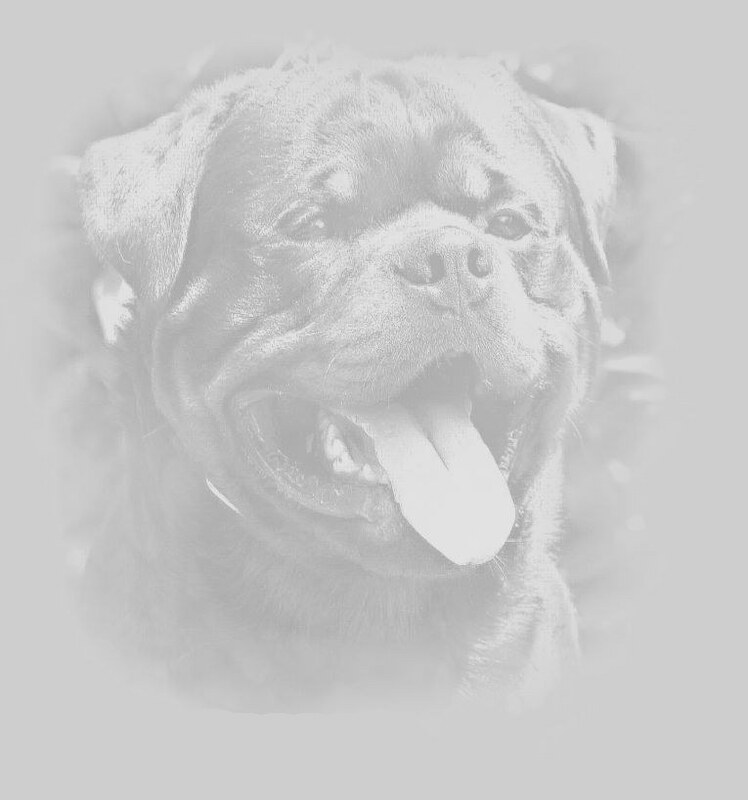 The fact that each dog’s lineage can be traced, the workers at Atlanta Haus will be able to determine its temperament. Your children will love growing up with this protective guardian breed and you will feel safe knowing that your purebred Atlanta Rottweiler is there to take care of your small child, provide it plenty of healthy play time and a lot of protection. 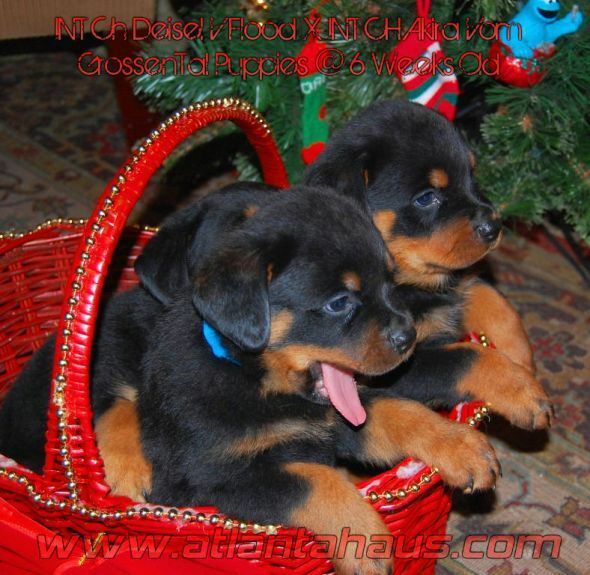 Unlike adopting a puppy from the pound or one of the many “backyard breeders” out there today, a 100% purebred Rottweiler from Atlanta Haus is guaranteed championship ADRK and most are pink papered German Rottweiler imports. In addition, each puppy goes through the comprehensive Volhard Puppy Aptitude Test at exactly 49 days old. This scores social attraction, following, restraint, social dominance, elevation, retrieving, touch sensitivity, sound sensitivity, sight sensitivity, and stability. This helps ensure we find the perfect pick of the litter for your needs and personal energy level. The great thing about purebred Rotties is that they are a naturally protective guard breed. There is no need to condition them to be that way – they are bred for it. They are fiercely loyal to their family and will protect them under any circumstances. This will help any individual or family feel safer in their Atlanta home.